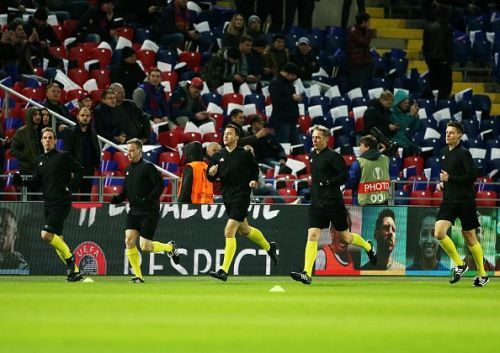 Arsenal were far from being safe going into the second leg of the Europa League quarterfinals against CSKA Moscow. This very week, stunning comebacks from Roma and Juventus have shaken the world. The Gunners were starting to get worried that their opponents may pull off an upset in Russia. 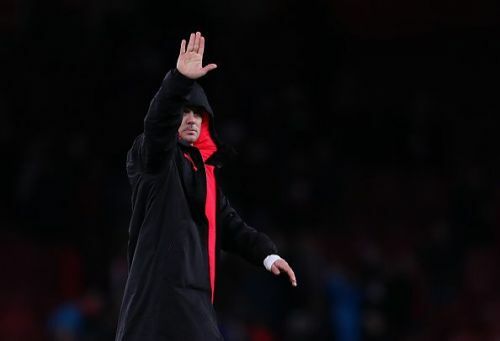 Had Arsenal scored more at home and increased the aggregate scoreline, Wenger could then have been absolutely certain of his team's imminent advancement into the semi-finals. However, the scoreline remained at 4-1 to Arsenal from the conclusion of the exciting first-half in the first leg at the Emirates. 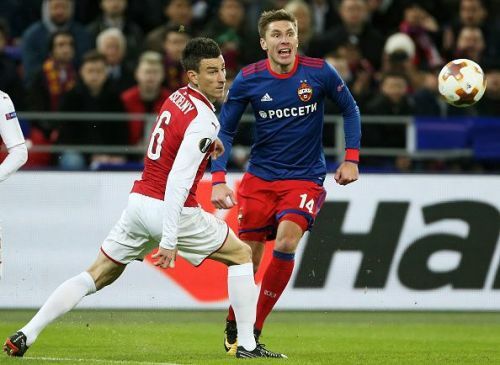 CSKA opened the scoring, bringing the aggregate to 4-2 to Arsenal by halftime. Minutes after the second half begun, Kirill Nababkin scored. 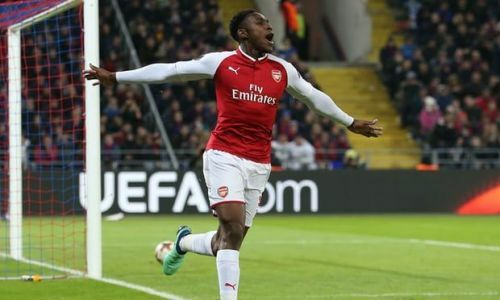 The ensuing tension was relieved after Welbeck pulled one back for the Gunners and Ramsey went on to equalise on the night. The English team could have easily been on the receiving end of a historic comeback. Here is how the Gunners performed. 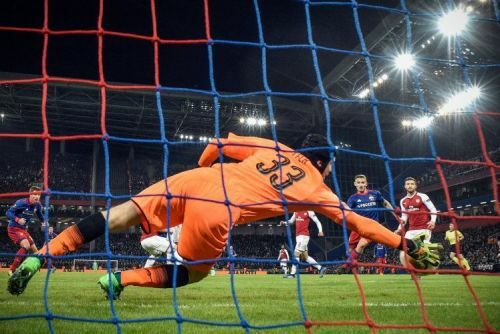 Cech was forced into early action as Musa darted into the box. He first conceded in the 38th minute. Despite making a decent save, he lost the ball, allowing Fyodor Chalov to score. Similarly, he failed to push the ball out properly on Moscow's next goal attempt that eventually the Russian side to score their second of the night. 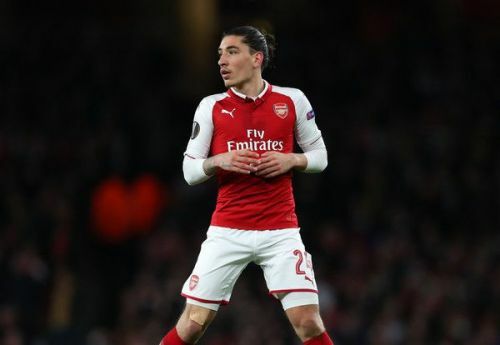 Bellerin was preferred when it came to attacking. He was better in getting forward and provided a greater threat than Monreal. It was an extremely busy night for the right-back who had to deal with Aleksandr Golovin and his team-mates. 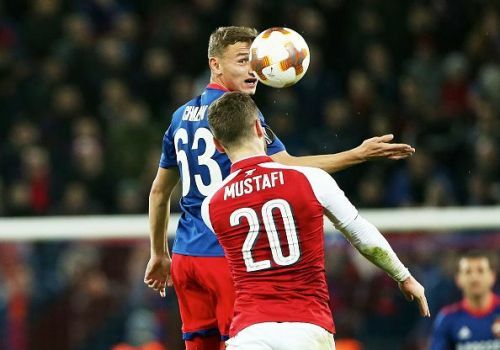 Mustafi followed the run of Musa and together with Koscielny, they largely kept the two forwards quiet. His passing improved massively from the first leg. 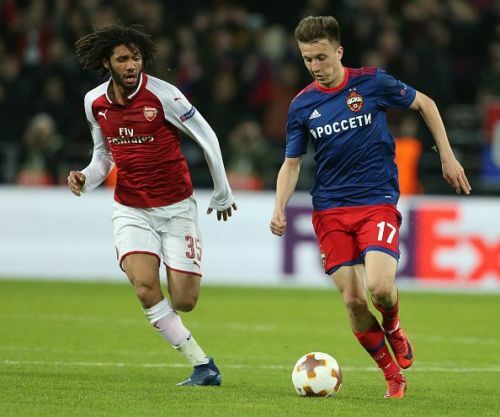 However, his failure to track Chalov's run allowed the Russian to score and gave a boost of confidence to everyone from CSKA Moscow. He put up a stronger and better performance than Mustafi. It seemed like the decision to rest him over the weekend turned out alright Frenchman was brilliant in his defending and shielding of the ball. Koscielny could have scored from Mustafi's header as a result of a corner, but his shot was just over the crossbar. 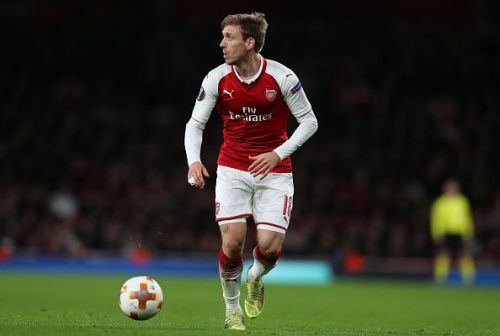 Monreal was alert to his surroundings and made a crucial header to deny a goal-scoring chance for Moscow. As compared to Bellerin, the left-back offered less in terms of attacking. The Spaniard preferred staying behind and retrieving any loose balls that got into his path. Elneny positioned himself well to protect Arsenal's backline. However, when he had the space to advance, Elneny continued to pass to other team-mates instead of taking the chance to deliver a cross or through ball to the forwards. He showed a marked improvement in this regard in the second half to finish with two assists to his name. 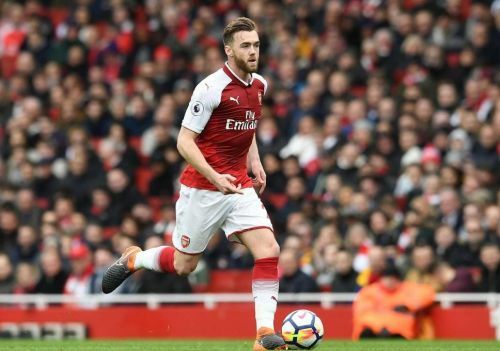 Ramsey passed with precision and was excellent with his combination play. The Welshman was always hunting for the ball, trying to spark an attack from deep. He missed a couple of minutes in the first-half after a suspected injury to his knee, but he returned to play just before half-time. It was a great effort from Ramsey who scored Arsenal's second goal and ensured Arsenal's progression. The Arsenal man had a poor first half. The Englishman has to be better in finding spaces where he can run before delivering the ball to his team-mate. His second-half was no better because Wilshere constantly faced difficulties shielding the ball. The midfielder went to ground too easily and could not keep possession. 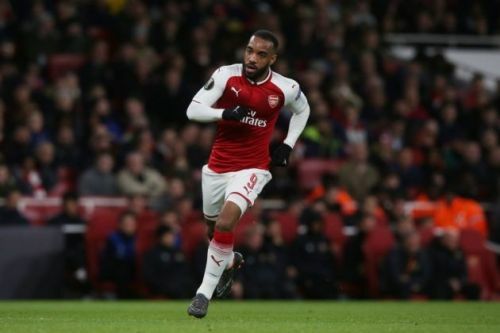 He combined well with Danny Welbeck to set up chances for Lacazette, although in comparison to the first leg, the German had less influence in Moscow. He struggled to find a way through his opponents in the first 45 minutes, but eventually, he adapted well into the game and worked hard towards the end. 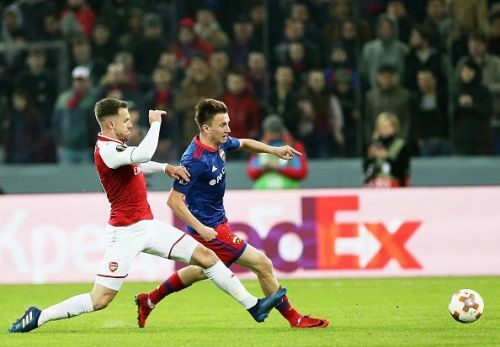 Welbeck had an excellent chance to assist Ramsey in breaking the deadlock in the 34th minute of the match, but Akinfeev managed to save the shot. He was extremely eager to get forward, his turns were sharp and crisp, and he looked sharper than ever. In the first half, Lacazette had to dig deep for the ball as he was not receiving enough time on the ball to create anything for his team. The French international had no significant impact on the game and was withdrawn to bring on Alex Iwobi. The English defender replaced Wilshere and that led to Arsenal changing their formation to 3-5-2 instead of the usual 4-2-3-1. He displayed some solid defense and largely kept the CSKA attackers quiet. 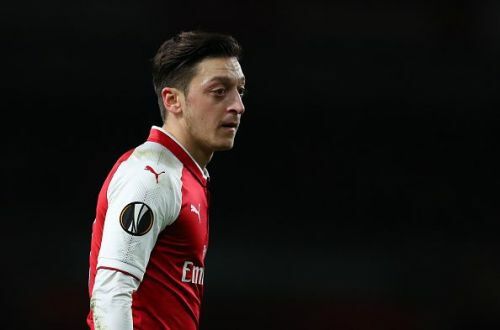 The Nigerian could have finished the game with an equaliser for the Gunners, but he squandered Ozil's chance created just for him. 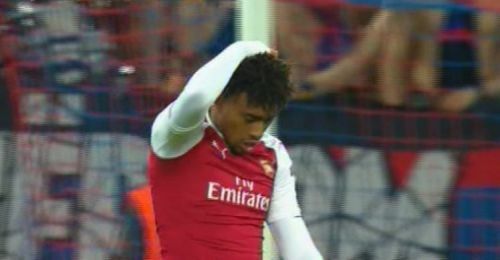 Iwobi will be buoyed by this performance, while Wenger should take note of the desire and hunger displayed by the youngster - something absent from Wilshere's performance on the night.